A few days ago, a commercial retail hub opened in the old Saiwa biscuit factory in Locate Triulzi, south of Milan. TUSPARK, the Tsinghua University Science Park is a large project in Nanjing, southern China by German-Chinese design firm Logon that makes engagement with the landscape its forte and creates public green spaces. 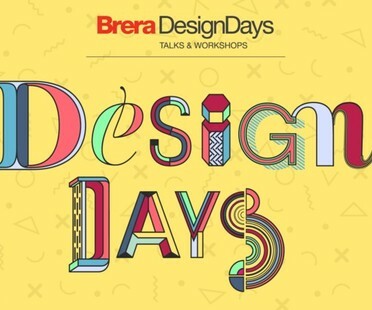 Stefano Luconi, Stefano Luconi, Operations and Communications Manager & Digital Technologies of Iris Ceramica Group SpA presented at the Brera Design Days the potential achieved by the production of ceramic slabs. 'His contribution ended with an invitation to architects and designers to use the advanced technologies placed at disposal by the 'industry. 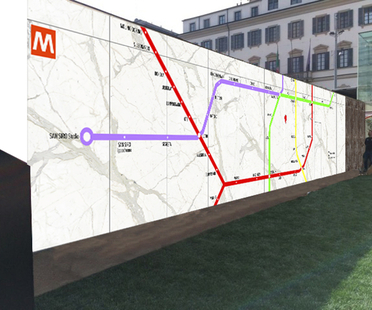 The map of Milan’s metro system decorating an entire wall in the courtyard garden of the Brera Mediateque is a tangible example of the high level of precision and definition that can be achieved by laser graphics, and of the versatility of Iris Ceramica and FMG Fabbrica Marmi e Graniti big ceramic slabs. A house that certainly won't leave you untouched. The exhibition NORWAY Architecture, Infrastructure, Landscape which opened on June 23 at SpazioFMG offers an opportunity to rediscover some architectural projects covered in Floornature and Livegreenblog by the studios involved in the exhibition. We start with a rapid overview of projects by Reiulf Ramstad Arkitekter.